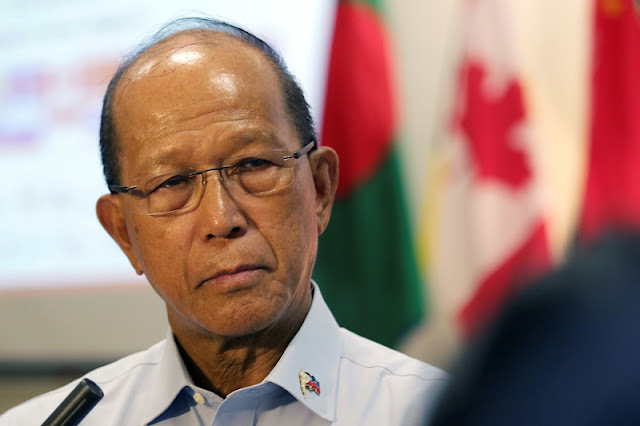 Defense Secretary Delfin Lorenzana hinted in a statement issued on Thursday, that Communist Party of the Philippines (CPP) Founder Jose Ma. Sison will likely end up behind bars upon his return ‘made to account for his sins’ after 3 decades of self – exile in Netherlands. 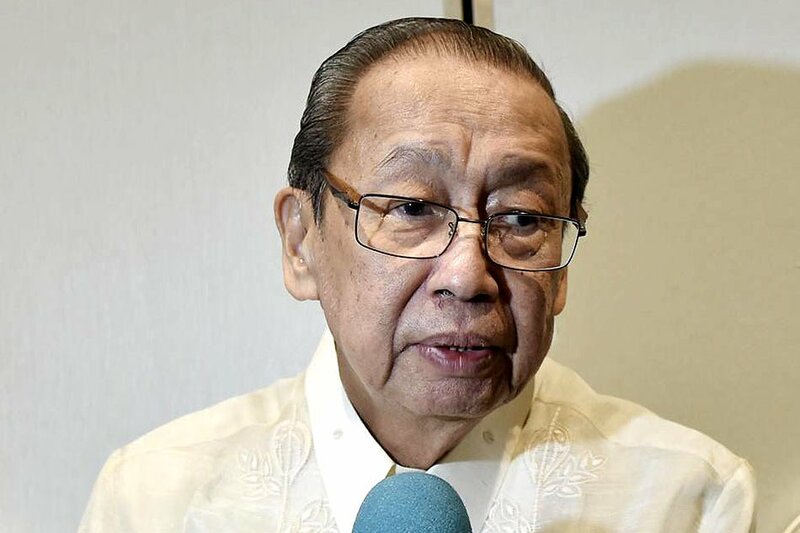 The Defense Secretary, by some means, implied that Sison is ‘doomed to irrelevance’ should he decide to come home several years after failed ‘Peace Talk’ attempts with the late Cory Aquino’s administration. “Whatever you do Mr. Sison you are doomed to irrelevance. You remain in the Netherlands and you will be forgotten because the President has decided with finality that the talks would be held in our country. You come back, and you will end up in jail,” Lorenzana said. “Or maybe you don’t want to come back because you will be made to account for your sins, like the Plaza Miranda bombing, the mass liquidation of NPA cadres on suspicion of being deep penetration agents,” he added. Sison, along with other communist leaders will be held reliable for plotting the conspiracy behind the infamous 1971 Plaza Miranda Bombardment that took the life of 9 innocent lives and immobilized at least 90 more, including several prominent Liberal Party members, such as former Senators Jovito Salonga, Eddie Ilarde, Gerardo Roxas, and Eva Estrada – Kalaw. Salonga, in his autobiography, wrote that he believed Sison plotted the event to unleash lawlessness which inevitably, became a basis for the then President Ferdinand Marcos to suspend the writ of Habeas Corpus, eventually declaring Martial Law. 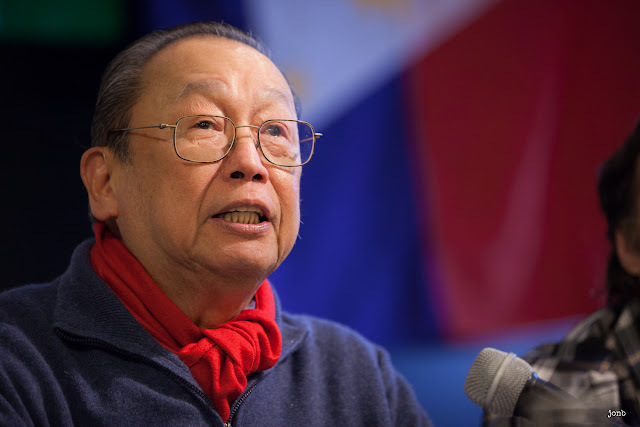 Sison recently expressed willingness to return to his mother country following President Rodrigo Duterte’s declaration to resume Peace Talks with the National Democratic Front of the Philippines (NDFP) but was immediately postponed amid concerns of communist rebels taking advantage of the ‘ceasefire’ period to regain forces. Presidential Peace Adviser Jesus Dureza, on Wednesday revealed conditions laid by the President should the long - anticipated Peace Talks commences anew, such as: no to collection of so-called revolutionary tax and no talks outside the Philippines. In addition, a ceasefire agreement should also be imposed and a regulation to consolidate more members for the New People’s Army (NPA) to designated camps.